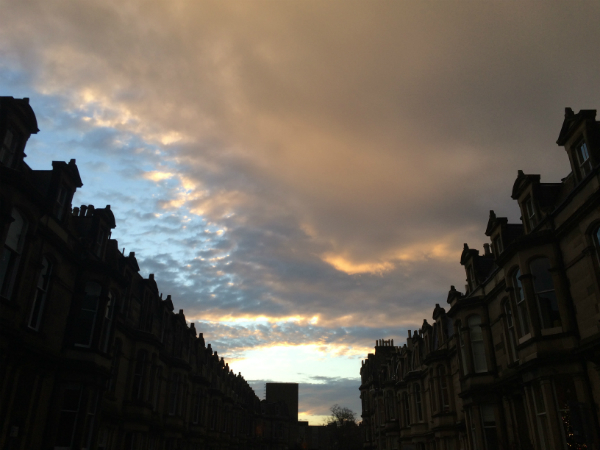 It's been really, really dark in Edinburgh this week: here's what the sky looked like at 3.30pm the other day. There are problems and opportunities beneath the sky: David Pollock reports on how Edinburgh wants to look old but also build new things, and the Rootmap team (including a friend of mine) have produced a beautiful guide to where you can buy local and sustainable food. There have been plenty of things that happened this year which made many of us think, "How do I respond to that?" Andy Crouch shares why we should start with prayer rather than novelty or even action. The power of a person's story or narrative has grown so rapidly in western culture that it seems to veto all other forms of authority. I agree with Samuel James that this isn't a great idea, nor is it new. His article is helpful for understanding the worldview most of us are living in/with.